If you are a newbie to slot machines, you have obviously observed the different symbols that appear on the screen. All symbols have different functions which will be manifested during your gaming experience. One of the symbols is known as the Wild. The Wild does not come in one specific style or design and will vary from one machine to another. Wild symbols in slot machines have been in existence since the appearance of the “One Armed Bandit” gaming machineand other tropical island slots including the Maldives and Caribbean themed slots. They are similar to a joker in a card deck in that they can be utilized in combination with other game symbols to give you a winning spin. Some wilds come with an individual prize. What’s the Purpose of a Wild? 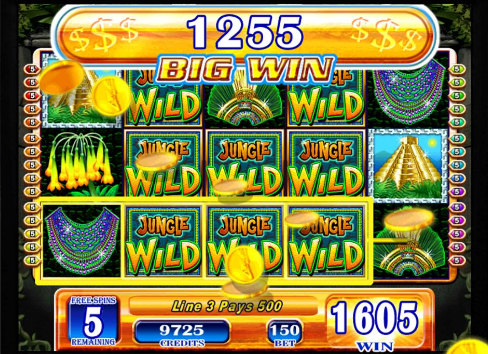 The Wild is a key symbol in gaming as it possesses the power to substitute for all other symbols present on the reels and which completes active paylines resulting in a win. 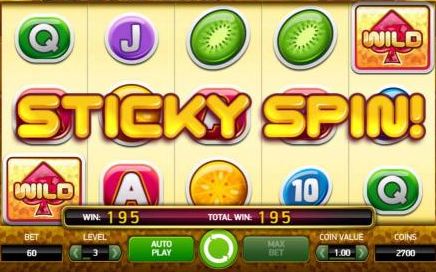 In most cases, the Wild does not substitute for the Scatter symbols, bonus, or free spins symbols. In some gaming machines, they have no individual winning values, while in others they carry the highest paying value. Sticky Wilds behave similar to standard wilds and substitute for other symbols to create winning lines. However, the difference is that they remain in position on the reel after a spin. They are usually found in bonus rounds that offer free spins and have the potential of generating huge winnings for the duration of the free-spin rounds. Other common Wilds include those found in cascading reels where they cause an explosion of winning lines resulting in the positioning of other symbols in place. When the explosion occurs, you can potentially increase your winnings through the combinations that follow. Shifting wilds are similar to sticky Wilds; they stay in positioning after creating winning combos. However, they shift slowly around the reels every time you spin and will eventually disappear from the screen. They can turn a payout into one that is extremely rewarding and even change a losing spin into one that gives you some major payoffs. Stacked Wilds are another common variation and appear as the name suggested: stacked. They have the potential of filling an entire reel and giving you multiple wins across the different active paylines. Expanding Wilds are similar to the stacked Wilds. Once these Wilds appear, they will grow over the active paylines and substitute symbols along the way. This will in turn be converted to wins.